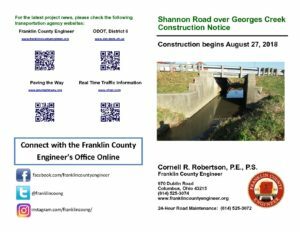 As a local public works agency headquartered in Columbus, Ohio, the Franklin County Engineer's Office is responsible for the maintenance and construction of 271 miles of county roadway and 351 county bridges, as well as upkeep of all county ditches, drains, retention basins, and other storm water facilities within the right-of-way of county roads in unincorporated areas. 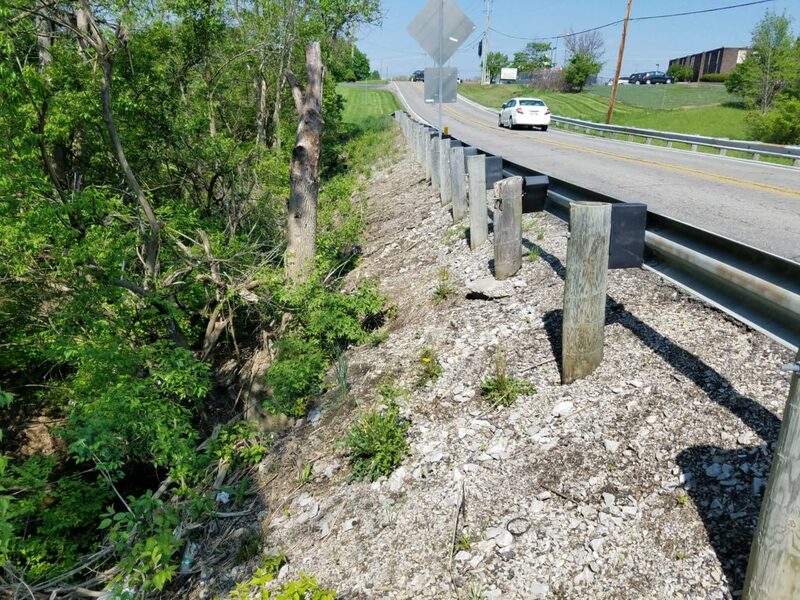 To meet the continuing development and infrastructure needs of Franklin County, the Engineer's Office utilizes the latest technologies for determining and maintaining roadway centerlines and boundaries; retracing and setting new monuments for original public land surveys; preparing geographic information system mapping for real estate tax assessments; and establishing precise countywide horizontal and vertical control to maintain uniformity in construction, surveying, and mapping. The Columbus Dispatch's Marc Kovac joined our East Maintenance Crew as they removed litter and debris from the roadway. He chatted with the crew to discuss the benefits of litter removal to the community and our equipment. Check out the story in tomorrow's edition of the paper. Location: Intersection of Smothers Road at Schott – Red Bank Road. Description: Intersection improvement project to increase safety through the construction of a single lane modern roundabout. Status: The project is currently in progress as utility relocation continues on site. 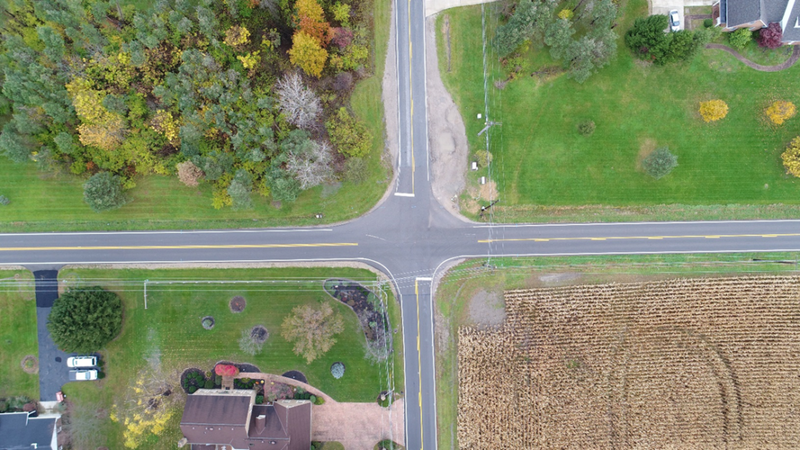 Road reconstruction and building of the new single-lane modern roundabout will begin after the utilities are cleared from within the work limits. 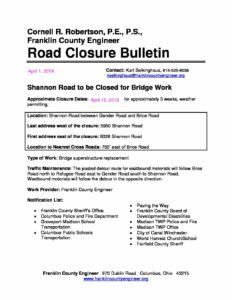 Traffic/Detours: The intersection will remain open until the utilities are cleared from the project work limits. 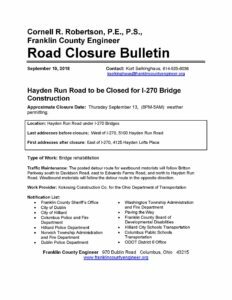 The public will be notified a minimum of one week in advance of the road closure via message boards, as well as updates on our projects page. Description: Bridge improvement project to repair bridge and shoulder. Status: The project began on May 14, 2018. Traffic/Detours: Traffic will be detoured for the improvement project. 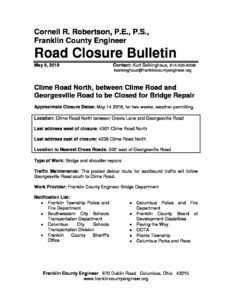 Eastbound traffic will follow Georgesville Road south to Clime Road. Status: June 18 to June 22, 2018 weather permitting. 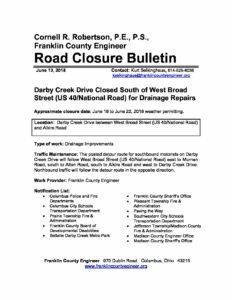 Creek Drive will follow West Broad Street (US 40/National Road) east to Murnan Road, south to Alton Road, south to Alkire Road and west to Darby Creek Drive. Northbound traffic will follow the detour route in the opposite direction. 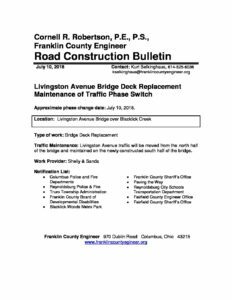 Traffic/Detours: Livingston Avenue traffic will be moved from the north half of the bridge and maintained on the newly constructed south half of the bridge. Status: August 20, 2018 For 5 Days weather permitting. 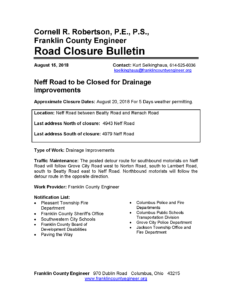 Traffic/Detours: southbound motorists on Neff Road will follow Grove City Road west to Norton Road, south to Lambert Road, south to Beatty Road east to Neff Road. Northbound motorists will follow the detour route in the opposite direction. Status: August 27, 2018 for approximately 3 weeks, weather permitting. Traffic/Detours: Eastbound motorists will follow Brice Road north to Refugee Road east to Gender Road south to Shannon Road. Westbound motorists will follow the detour in the opposite direction. Status: September 4, 2018 for approximately 45 Days, weather permitting. 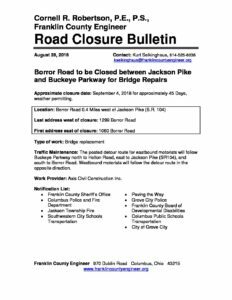 Traffic/Detours: Eastbound motorists will follow Buckeye Parkway north to Holton Road, east to Jackson Pike (SR104), and south to Borror Road. Westbound motorists will follow the detour route in the opposite direction. Contractor: Axis Civil Construction Inc. Status: Thursday September 13, (8PM-5AM) weather permitting. 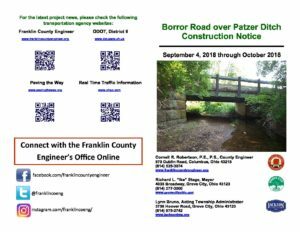 Traffic/Detours: Eastbound motorists will follow Britton Parkway south to Davidson Road, east to Edwards Farms Road, and north to Hayden Run Road. Westbound motorists will follow the detour route in the opposite direction. Status: Monday, October 8, 2018 for 14 days, weather permitting. 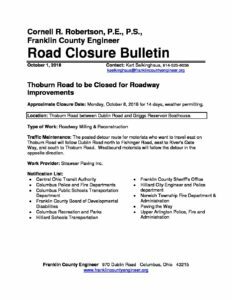 Traffic/Detours: Posted detour route for motorists who want to travel east on Thoburn Road will follow Dublin Road north to Fishinger Road, east to River’s Gate Way, and south to Thoburn Road. Westbound motorists will follow the detour in the opposite direction. Status: December 3, Daily 9:00AM-3:00PM for five days, weather permitting. 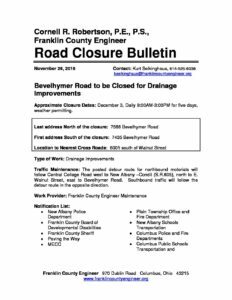 The posted detour route for northbound motorists will follow Central College Road west to New Albany –Condit (S.R.605), north to E. Walnut Street, east to Bevelhymer Road. Southbound traffic will follow the detour route in the opposite direction. Status: January 16, 2019 for 14 Days, weather permitting. 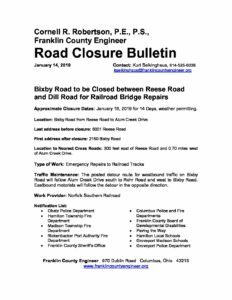 Traffic/Detours: The posted detour route for westbound traffic on Bixby Road will follow Alum Creek Drive south to Rohr Road and west to Bixby Road. Eastbound motorists will follow the detour in the opposite direction. Status: April 15, 2019, for approximately 3 weeks, weather permitting. Traffic/Detours: The posted detour route for eastbound motorists will follow Brice Road north to Refugee Road east to Gender Road south to Shannon Road. Westbound motorists will follow the detour in the opposite direction.